I first reviewed AutoSleep by David Walsh in December, noting how his idea of an automatic watchOS sleep tracker could bring one of the best Fitbit features to the Apple Watch. I've been wearing my Watch to bed every night, and AutoSleep has successfully logged sleep data with impressive accuracy. As I wrote in my original review, however, AutoSleep needed an easier setup process and a cleaner design to help users understand and edit logged data. Walsh has been working hard on AutoSleep since launch, and version 3.0, released today on the App Store, addresses several of my complaints from the original app. The setup wizard has been completely redesigned with a series of questions that make it easy to configure the app for your habits. 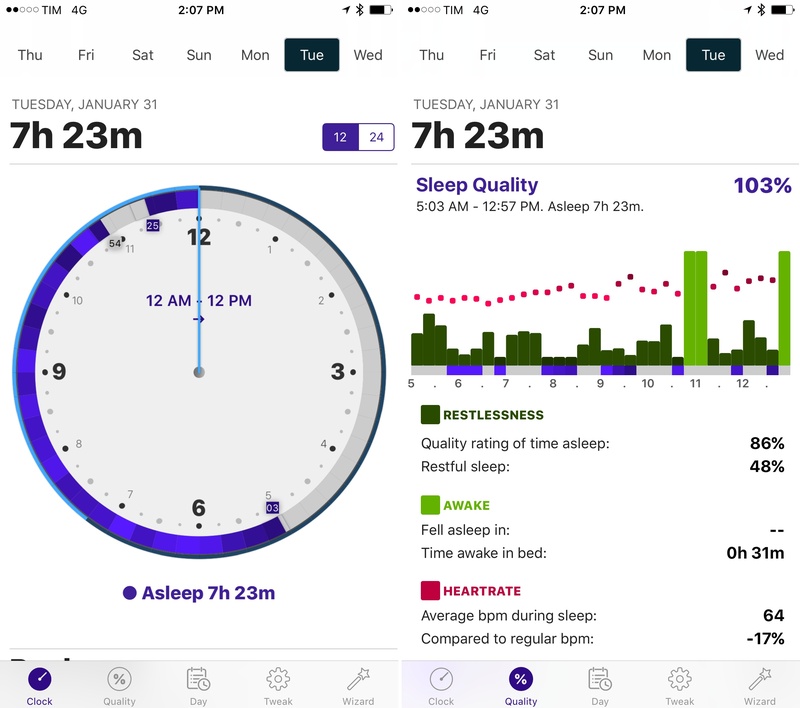 Instead of cramming information on a single page, Sleep Quality and Day now have their own tabs in the app; the Day section is particularly handy to view a timeline of your day as logged by sensors on the iPhone and Apple Watch. Generally speaking, everything feels cleaner and better organized, and while some menus and symbols could still be explained differently, the overall app is more intuitive and accurate in its measurements. Thanks to the fantastic battery life of the Apple Watch Series 2, wearing the Watch at night for sleep tracking isn't a problem, and AutoSleep makes automatic tracking a reality with features I can't find in any other app. If you tried the app and abandoned it at version 1.0, now's a good time to check it out again. AutoSleep 3.0 is available on the App Store.